California has embraced the hub-and-spoke concept in implementing its State Targeted Response (STR) to the Opioid Crisis funding from the 21st Century Cures Act. The hub-and-spoke system was established in Vermont almost 10 years ago, with funding from the Affordable Care Act. 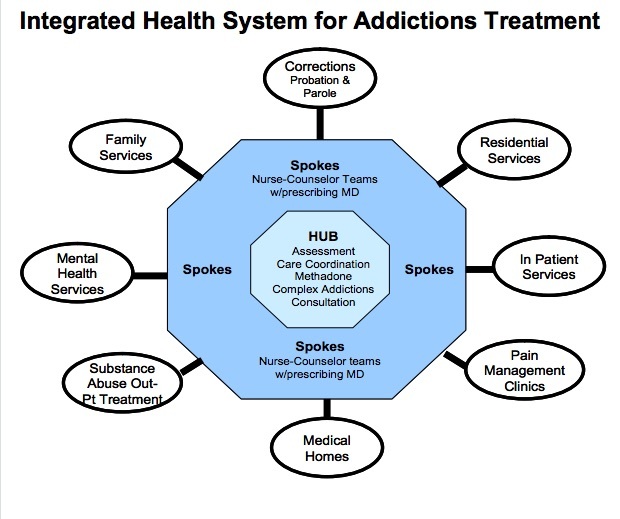 The hub is an opioid treatment program (OTP) that does evaluations and assessments for all new admissions. Patients who need to stay in an OTP, stay in the hub for treatment. Those who are referred for office-based opioid treatment (OBOT) are referred to the physician offices, or spokes. 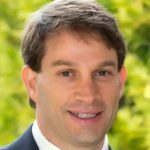 Jason Kletter, PhD, president of BayMark Health Services, which operated some of the original hubs in the Vermont system, is pleased to be helping the STR implementation in California. “Hub and spoke is a fantastic model,” he said. “It’s consistent with the chronic disease model, and provides evidence-based and high-quality treatment while creating a continuum of services.” If a patient is not doing well in a spoke, for example, the patient goes back to the hub. Using its STR grants, California will set up 19 hub-and-spoke systems, mainly in the northern, rural part of the state, Dr. Kletter told AT Forum. “The providers who are doing this are knocking hard on doors,” he said, referring to the effort to engage prescribers. “Our organization, BayMark, got four grants” from the STR money, but not for new OTPs, said Dr. Kletter, who is also president of the California Opioid Maintenance Providers (COMP) group that represents opioid treatment programs in California. Rather, BayMark got the money to build a network of prescribers and create the relationship between OTPs (hubs) and spokes (OBOTs). The key component is the MAT (medication-assisted treatment) team, consisting of a nurse, and a counselor/case manager, the team goes to the spokes and provides support services. “We hear all the time that physicians want the support to provide good care,” Dr. Kletter said. Patients who have good support systems in their lives—an involved family, a stable place to live, a job, a strong reason to get and stay well—don’t always need the robust structure of an OTP, said Dr. Kletter. “That’s the reality.” But they need more than just getting a prescription for buprenorphine. The spokes have a full-time case manager and nurse for every 100 patients, said Dr. Kletter.